TROMBETTI FLORIDA REAL ESTATE: Defective Home: Who Is Responsible? Question: My son and his wife purchased their first home last year. They secured a mortgage with a lender (Note: I have deleted the name of the lender). They had looked at 5 others houses where the lender was overly critical about updates to the houses before they would give out a mortgage. The house my son and daughter-in-law agreed on and purchased had a beautifully terraced backyard. They were required to do minor fixes before getting the mortgage. Eight months later the deck is coming away from the house because the terraces were put in wrong. My daughter in law went to the town to read the permits and have the contractor come back. No permits were pulled and a repair bill of $50,000 was given by a new contractor and structural engineer. Who is at fault? The previous homeowners, the lender or the home inspector? This is a major bill for a first time buyer and no one seems to be responsible. Thank you for your help. Lori. Answer: Dear Lori. I know that lenders are supposed to look carefully -- and critically --at the appraisal of a house they are considering making a mortgage loan, but I am surprised your son's lender actually turned him down based on the condition of the houses. Let's look at the various players. First, the home inspector. Did he/she inspect the deck and say anything about it? I can't provide you specific legal advice, but you may have a case against that inspector. I would call him and tell him that there is a problem and you want him to look at the deck. Don't make any accusations or allegations; let the inspector take the lead in making comments. Many states protect the inspector from litigation if the homeowner has signed a statement at the back of the inspection report that states: "in the event of an error or mistake by the inspector, his/its liability is limited to the amount of the inspection". This is called an "exculpatory clause". However, many state courts have taken the position that if the homeowner can prove negligence on the part of the inspector, the inspector cannot use the "shield" of the exculpatory clause as a defense. Next, the seller. Did your sales contract state that you were buying "as is"? If that's the case, you may not have a case against the seller. And even if you did not take "as is", I know that the seller will use as a defense "you had an inspector; if there is a problem, he should have caught it. However, if the seller knew that the contractor did not get permits for the work, you may still have a case. Next, the lender. Generally, lenders are not responsible for problems in the house. However, in your case, it appears that the lender was actively involved in your house purchase. It was critical about other houses that were being considered, and regarding this house the lender actually required certain repairs to be made before the mortgage could be funded. 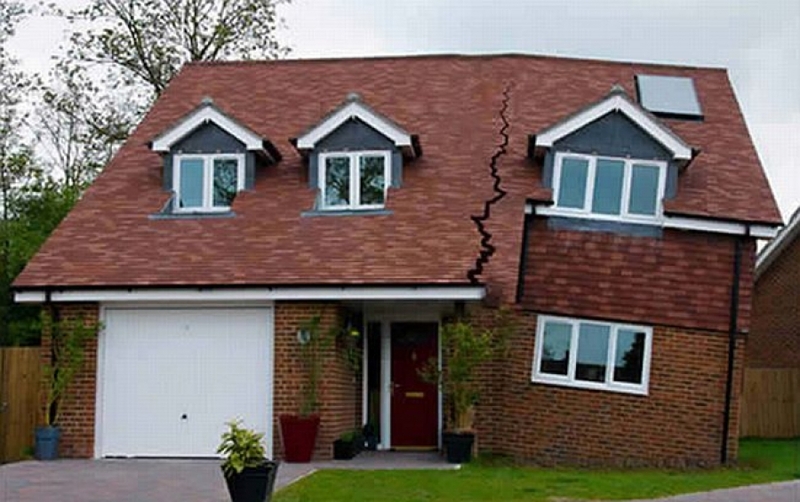 So, I would think that you may be able to hold the lender responsible for some of the repairs costs. Next: what about the contractor that installed the deck in the first place and did not pull any permits. Generally, there is a period of time (called a statute of limitations) after which you lose the right to file suit. However, there is also a legal concept called "the discovery rule" -- the statute of limitations starts when the problem is first discovered. My suggestion: do your homework, get at least one more bid from a contractor and talk with a local attorney about the feasibility -- and the cost -- of litigation.